As stocks settle into the view that the Fed may really hike interest rates this year, focus is shifting to the rising dollar. So far, the greenback has gained more than 2 percent against the euro in the past week, but it is expected to continue to rise as the central bank moves to raise interest rates from zero for the first time in nearly seven years. "How I look at it, is this dollar secular bull market is coinciding with a secular non-bull market for commodity prices. When you look back at those periods when that has occurred, it actually tends to provide a very favorable environment for the stock market," said Ari Wald, technical analyst at Oppenheimer Asset Management. Markets are now pricing in a 70 percent chance of a Fed rate increase in December, after Friday's strong jobs data and comments from Fed officials that indicated they could hike. For Wednesday, there is no economic data, and the bond market is closed for Veterans Day. But the stock market is open for business, and interest rate futures will be trading. There are a few earnings, including Macy's, which could give important commentary on the consumer. The currency market will be watching comments by European Central Bank President Mario Draghi at the Bank of England early in the day. Draghi, who also speaks Thursday to the European Parliament, is expected, if anything, to continue to sound dovish, keeping pressure on the euro. "The one thing we should have learned is that Draghi has most often surprised us with his dovishness," said Marc Chandler, head of foreign exchange strategy at Brown Brothers Harriman. Chandler sees the dollar continuing to rise, but he does not expect a rapid surge and the euro and dollar should reach a level of parity sometime next year. "If the Fed raises rates in December, they may not raise them again until Q2. I am a big dollar bull but I think the price action itself might be frustrating if you're looking for another swoosh down (in the euro)," said Chandler. The euro was at $1.07 Tuesday from a recent high of $1.14. The dollar could gain further if the Fed raises rates Dec. 16, but the ECB also meets Dec. 3 and is widely expected to take further easing actions, a negative for the euro. Stock traders are wary of the rising dollar because it has dented the earnings of multinationals. But Deutsche Bank analysts, in a note Tuesday, said the peak of the dollar's drag should be realized in third-quarter earnings. "While we continue to see the multiyear dollar up cycle as having a further 10 percent to go medium term, we see the pace of appreciation slowing significantly to around 5 percent a year, around that of past cycles. This would see the dollar's drag on U.S. earnings begin to temper modestly in Q4," they wrote. The Deutsche Bank analysts said the opposite should happen in Europe, where the boost to profits from the weaker euro should lessen in the fourth quarter and fade in the first quarter. "I think it's a double-edged sword. There are going to be some companies that actually benefit from a stronger dollar, like Wal-Mart," said Jack Ablin, CIO of BMO Private Bank. "Smaller companies should benefit. The cruise industry, the travel industry, airlines, I think this should be an ideal environment." 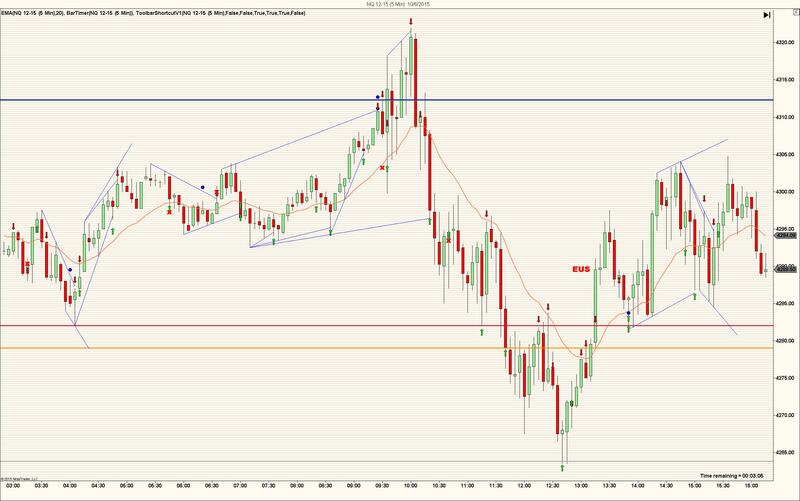 Bespoke, however, in a report Tuesday noted that domestic stocks that typically benefit when the dollar rises have not gained with the recent greenback strength. Bespoke studied companies in the Russell 1000 with 50 percent of revenues outside the U.S. and domestics, with 90 percent or more of sales in the U.S. over the last year. The dollar index has rallied about 5 percent in the past four weeks, and normally when that happens domestic companies benefit while multinationals with international exposure lag. "But in the last several weeks we have seen the complete opposite pattern," Bespoke analysts wrote. The firm offered two explanations. One is that the international companies may have benefited more during earnings season, when they beat analysts' expectations, getting help from the lowered bar for currency impact. Secondly, the international companies may have outperformed on expectations that more easing from the ECB could help economic conditions and therefore the revenues of internationally exposed companies. While Wald said he does not see the rising greenback as an issue, he does like big-cap stocks, particularly technology. "I see enough positives," said Wald. "It's certainly not a healthy picture beneath the surface. A lot of stocks have broken down and a lot of stocks are weak. But I think big-cap stocks are going to do well." He also expects the stock market to follow a normal seasonal pattern this year, after sluggishness Tuesday and Monday's selloff. The S&P rose 3 on Tuesday to 2,081, and the Dow was up 27 at 17,758. The Nasdaq fell 12 to 5,083. "It's been a very mixed and narrow market here. I would say we're still following the typical seasonal road map even when considering the weakness over the past week," he said. "It's consistent to see weakness in early November followed by strength in later November, and that usually carries into year-end. I think as long as the S&P is over 2,060, I think it will continue to follow it. That's the 200-day moving average." Ablin, on the other hand, is taking a more defensive posture. "Nothing much happening here. We're not looking for any fireworks out of the S&P 500 this year. There are cheaper markets," he said. As for the performance into year-end, "I think we can muddle," he said. "I do think that seasonality does tend to favor the market, but you have this just interesting dynamic between the Fed and the market being so expensive, so it's hard to know if seasonality will play a role here." 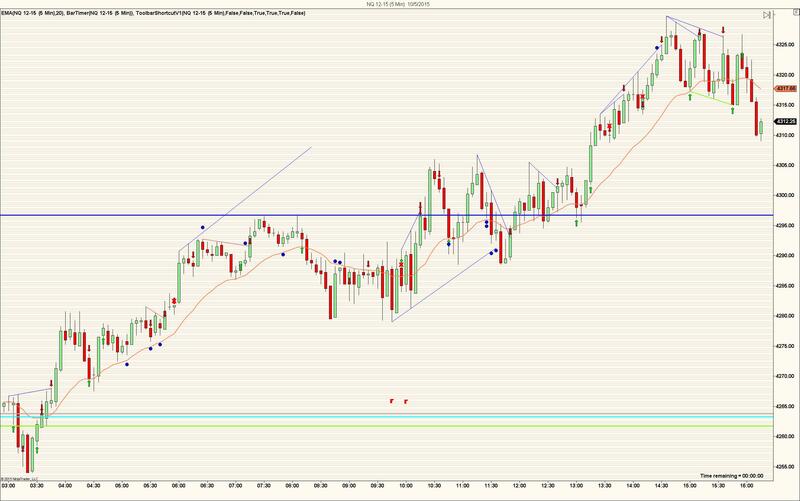 Monday July 13th was a perfect day no losers in price action trading!!! Here is a preview of weekly swing trades this week. We will start at 0800est/0700cst on Monday morning. 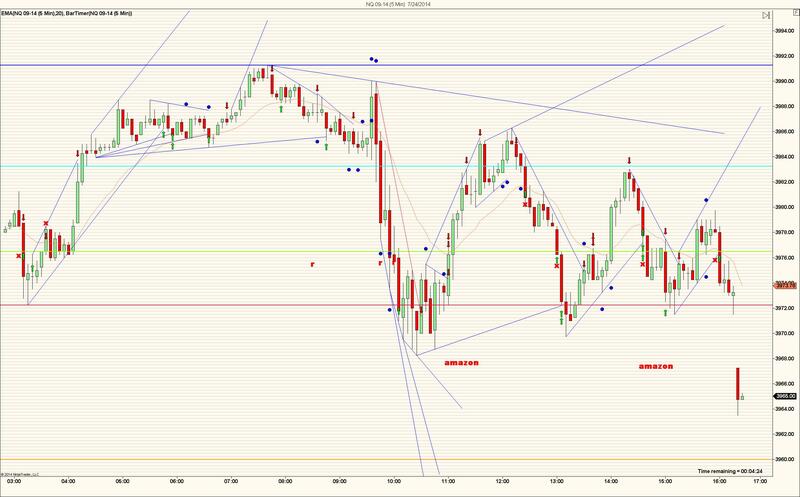 At 0815est we will discuss these trades in detail Entries and Exits can be made in zones and not a exact tick price. 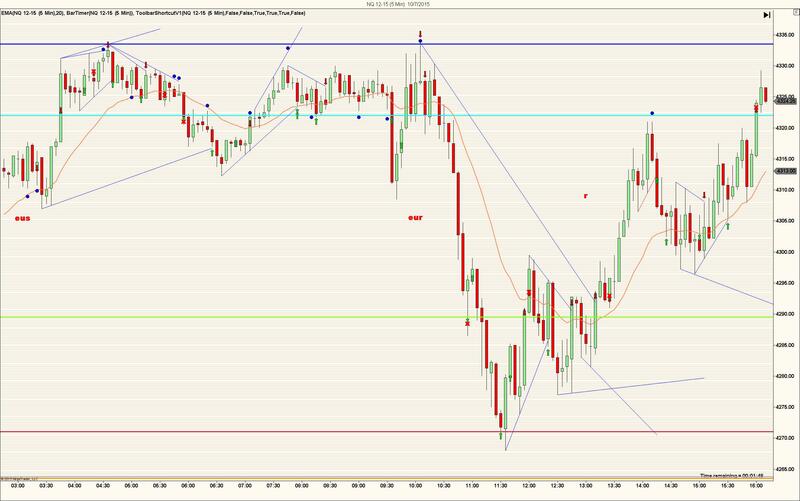 You can follow one or all of the trades as well day trades which may present themselves during the week. 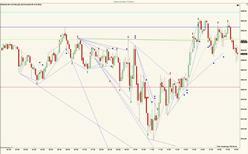 This is done on daily time period which will map out the weekly and monthly moves. 1. 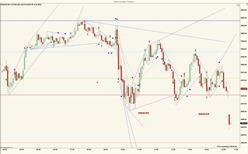 USH15 US bonds are in farout daily, farout weekly and nearby monthly resistance. This would normally require a refresh of the daily and maybe the weekly. Daily would go at least to the dot and if weekly is going to the dot daily will enter congestion entrance. If monthly is going to its dot weekly would move into congestion entrance to get to the monthly dot. If resistance does not hold we could go to farout on the monthly. There is an entry on open Sunday evening (opens 0500 CST)or Monday morning selling at or above the close on Friday. 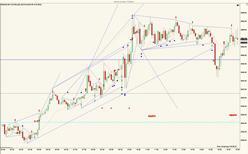 ECH14 Euro weekly changed direction or entered congestion. This sets up congestion parameters from the top of last week (block) down to the the bottom of weekly trend run down (dotted line) In congestion we trade the top and bottom of congestion as targets. 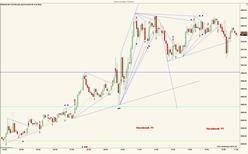 We will monitor the daily and weekly envelopes for cycles and types of trading. SF14 Soybeans Weekly trading in congestion on either side of the Dot (middle of envelope) we have two closes over the dot and a third one this week would put us in the next type of trading which is trend run up and a close over 1086 would be congestion exit trading which means it is trading above the parameters of congestion when it went into congestions two week ago with a close below the dot. monthly suggest that support is strong and resistance weak which will allows us to go higher. The daily must map this out. This is our first full week to work on swing trades since they start on the beginning of the weekly bar on every Monday. Don�t Miss! Eliot Wickersheimer breaks down the future of Brokerage Services! We are 3 days into the new contract and it's going well. Volume has been heavy and that's expected. Yesterdays results were 42 trades with only 6 losers. Currently we our offering a financing deal. 50% down to start and the balance due in 30 days. Next Friday is contract expiration. Tomorrow and the rest of the week will be very volatile. It might be a good beach day. 41 trades 11 losses. We are getting close to contract rollover, watch the volume carefully.